Hinson is credited with being one of the first to advocate the celebration of Flag Day. 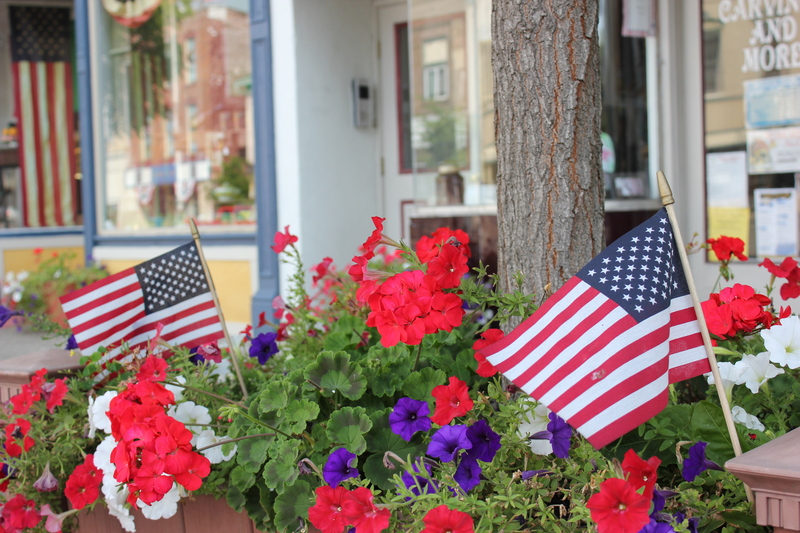 Although most sources imply she independently determined to celebrate Flag Day on June 14th – the day the Continental Congress formally accepted Betsy Ross’ design in 1777 – there are plenty of sources citing other teachers as picking the same date on or around the same year. Most websites – and I wasn’t able to locate an original source – claim she taught children how to salute the Flag and repeat the Pledge of Allegiance at her first Flag Day in 1891. This can’t be true since (or at least the date is wrong), as we learned in the previous chapter, the Pledge of Allegiance wasn’t written and published until the late summer of 1892. 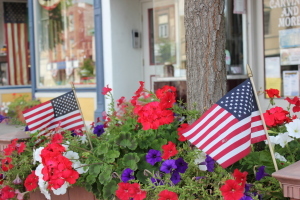 What we do know is, on June 14, 1916, President Woodrow Wilson agreed to set aside June 14th as a day of “national observance of Flag Day.” It didn’t become a “national holiday” until 1949, when President Harry Truman signed legislation declaring it so. It’s likely both Hinson and Cigrand, as well as numerous other teachers around the nation, heard of Francis Bellamy’s ideas for promoting the Flag in schools and joined the effort. The coincidence of the timing of Bellamy’s Pledge of Allegiance and the Flag Day promotion is just too remarkable to believe. Being the charitable kind of guy that I am, and since I’ve already established the chronological primacy of our invention of the hamburger, I’d be apt to give Wisconsin Flag Day, with all due respect to Sara Hinson (her tombstone does, after all, admit she gave us Flag Day “with others”). Hopefully, Wisconsin doesn’t have a beef with this. Still, we’ll grant Hinson as much for her patriotic efforts. I’d say it’s in the water, but our next hidden gem proves he didn’t need to drink our water to make a difference. What does it say that, once he gave up everything to save America, he came to Greater Western New York to live the rest of his years? If you like this story, you’ll love Chris Carosa’s book 50 Hidden Gems of Greater Western New York. Be sure to check out the book trailer on 50HiddenGems.com and sign up for the GreaterWesternNewYork.com newsletter so you can be the first on your street to find out about the next exciting way to help promote your favorite region in America!